Temperatures were in the upper 70s and birds were singing. Spring was officially here and gorgeous weather was on the way, or so we thought. I’m pretty sure everyone stared at the forecast in disbelief when the meteorologist stated snow was headed our way in just a few days. Yes snow, in April! With 10 huge white umbrellas, blankets, and hand warmers packed in the trunk, we were going to be ready for anything! 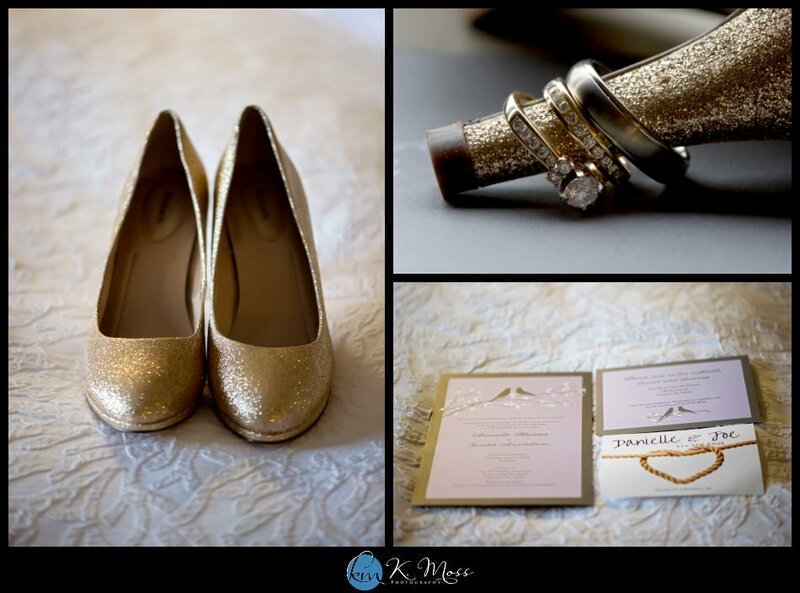 Danielle’s amazing maid or honor and matron of honor were such a huge help (thank you!) , gathering all of the details ahead of time so I could photograph them quickly. The colors tied together so perfectly and couldn’t have been more suited for Danielle. The save the dates were absolutely adorable! 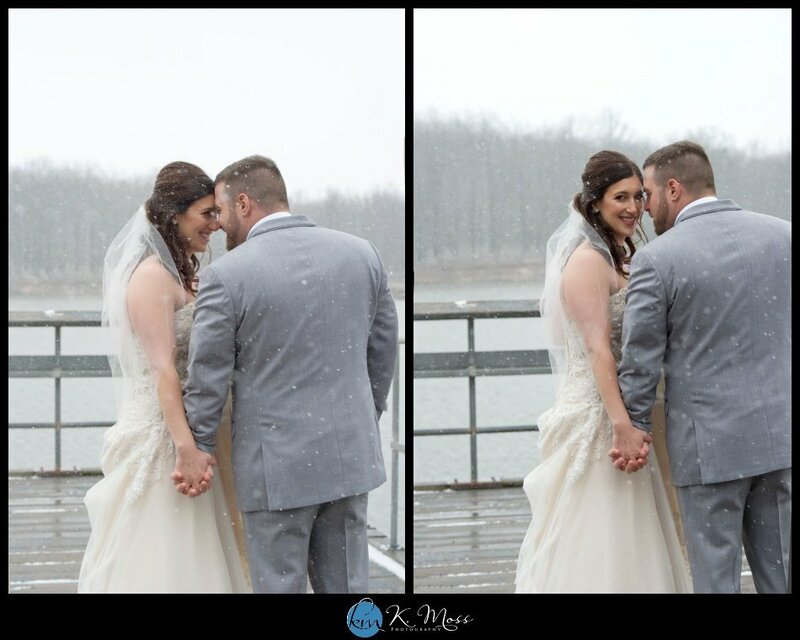 About thirty or so minutes before their First Look, snow began to fall. Danielle was so excited to see Joe, she wasn’t concerned about the weather at all (though learning that I had brought along a few umbrellas boosted her mood even more). 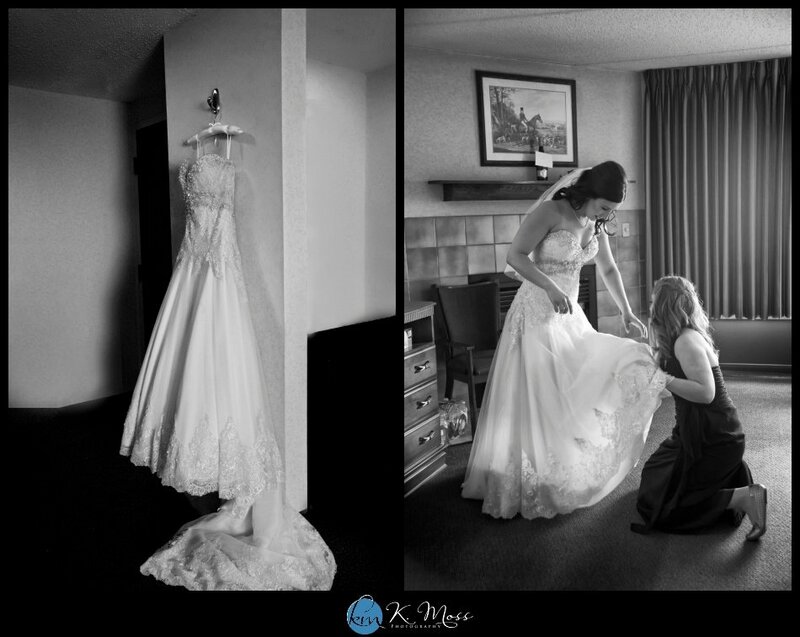 As she finished her final touches of getting ready, I made my way to the hotel lobby to direct Joe where to go as he waited for his bride. Seeing the groom so eagerly awaiting seeing his wife-to-be is one of my absolute favorite moments of the day. It’s that moment that he isn’t afraid to be emotional and looks as though he may burst from excitement. I just love it! 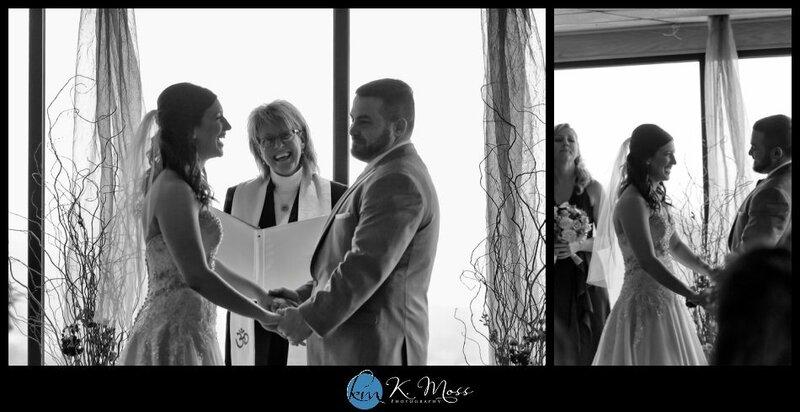 Shortly after seeing one another for the first time, Danielle and Joe joined their wedding party in the shuttle, which would bring us to a park just a short drive away. I wanted to high five their bridal party for being so awesome and braving the cold temperatures and rainy snow. They were willing to do anything to ensure the newlyweds would have amazing photos to look back on. (Huge thank you to the groomsmen for helping me carry a few things, too!) How lucky for Danielle and Joe to have such loving people in their lives! Oh, thank you snow, for falling so perfectly! Danielle looked flawless in her strapless dress and they both completely rocked the camera – you’d never guess that temperatures were only in the 20s! 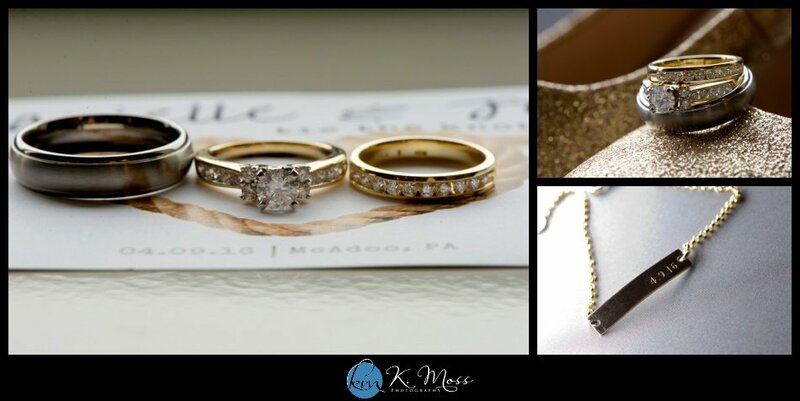 We wrapped up formal photographs pretty quickly and it was finally time to promise I Do! Oh the joy in their faces *melt*! Couples spend so many months carefully planning every detail, selecting the perfect color combinations, etc., but rarely get to see the finished results other than in photos. It’s such a great idea to take a little peek into the reception room before guests start to trickle in. The reactions are always priceless and it’s a great feeling to see all of your hard work come together. 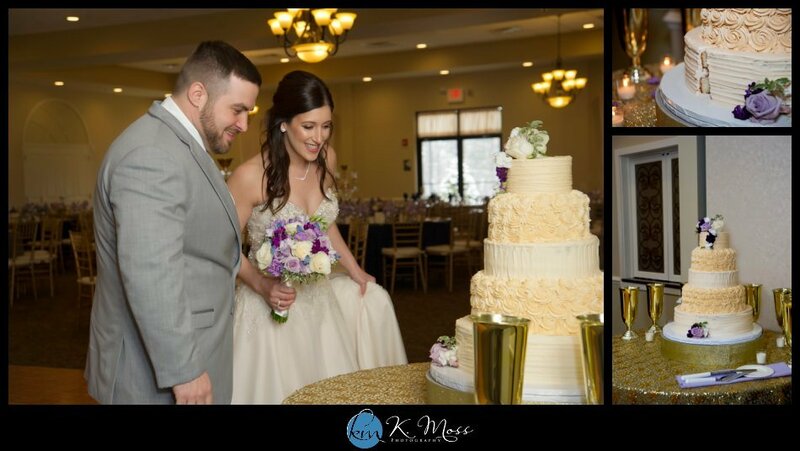 Danielle mentioned that the cake table was her pride and joy…and I could definitely see why – Pamcakes never disappoints! Tom and his team at Capriotti’s nailed it again, making the bride and groom’s visions come to life. 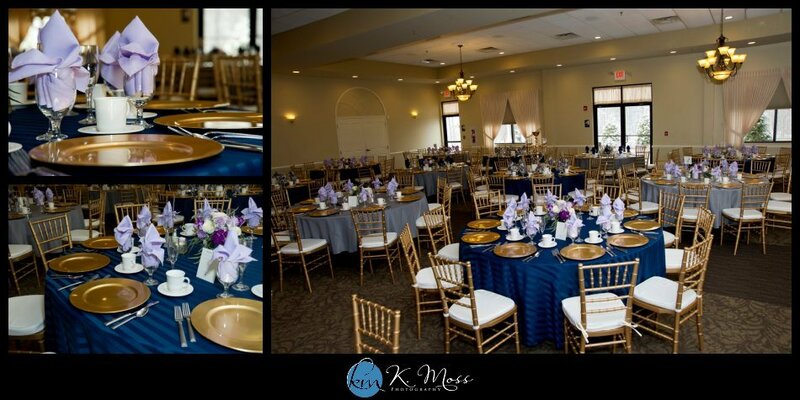 The blue and gold color combination had such a classy and elegant appeal and really set the vibe for the evening. This “guestbook” idea was so unique! Guests wrote their names on the hearts and placed them in the picture frame. The frame will be hung in the newlywed’s home as a reminder of those who shared in their day. Adorable, right?! 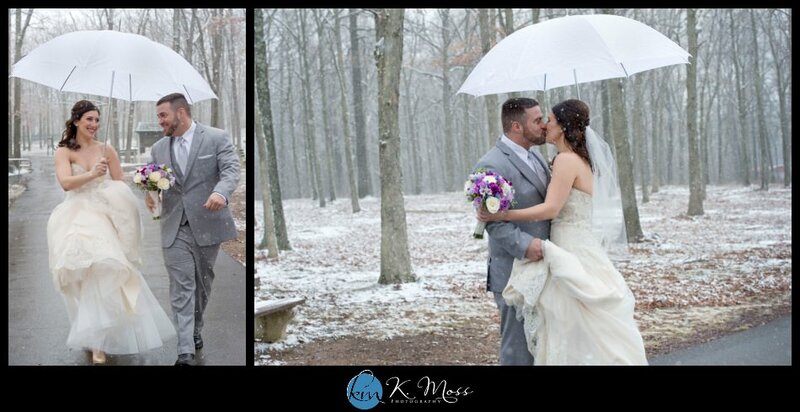 Midway through the reception, these two decided to brave the cold weather once more for a few more quick photos. The temperatures had plummeted by this time but you’d still never guess! A huge thank you to all of the amazing vendors who helped make this day so memorable for Danielle and Joe!